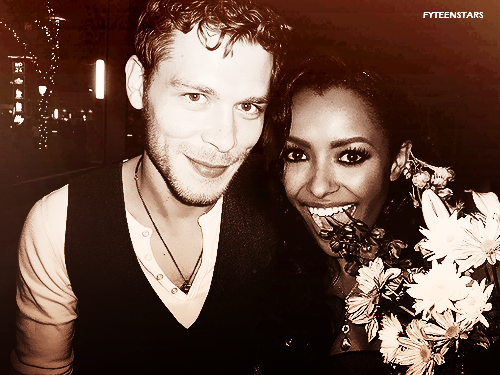 Joseph and Kat, (Bonnie and Klaus. . Wallpaper and background images in the Bonnie's Multi Shippings club tagged: bonnie bennett the vampire diaries tvd kat graham klaus joseph morgan klonnie. Gosh they should just put us out of our misery and get together!